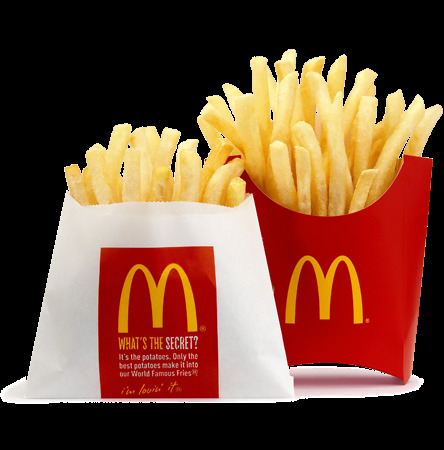 Are McDonald's French Fries Gluten Free? 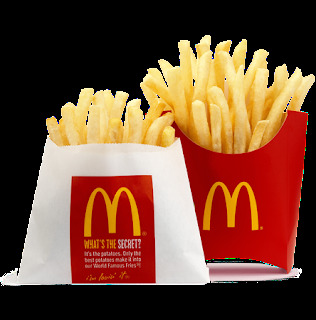 Are McDonald's French Fries Gluten Free? No McDonald's French Fries are not gluten-free. See the nutritional information from their 2013 menu. Potatoes, vegetable oil (canola oil, hydrogenated soybean oil, natural beef flavor [wheat and milk derivatives]*, citric acid [preservative]), dextrose, sodium acid pyrophosphate (maintain color), salt. Prepared in vegetable oil (Canola oil, corn oil, soybean oil, hydrogenated soybean oil with TBHQ and citric acid added to preserve freshness). Dimethylpolysiloxane added as an antifoaming agent. CONTAINS: WHEAT AND MILK.